What is the purpose of this piece of jewelry? I have a piece of jewelry and am unsure of it’s purpose It is circular, 3 inches in diameter, Zuni style inlay on sterling silver. 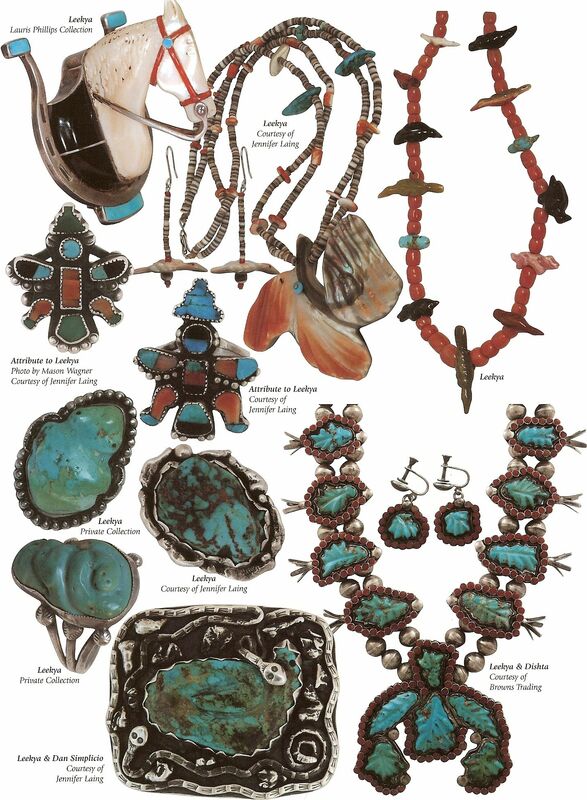 There is a round center piece, surrounded by two outer layers of tear drop shaped turquoise, There are four loops at equal distance around the back perimeter edge. I do not know if it might be a grandmother’s pin or a bolo, or a pendent. 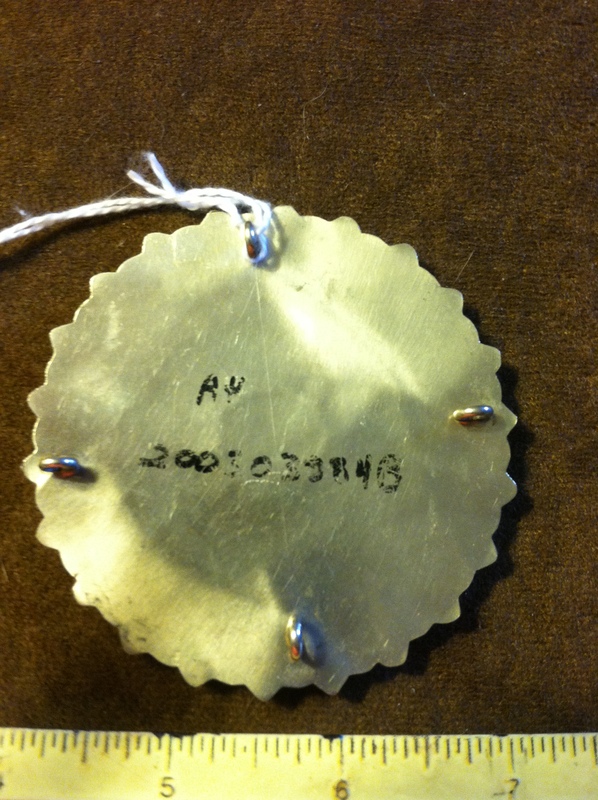 The pawn tag is still attached but simply reads pawn 1969. 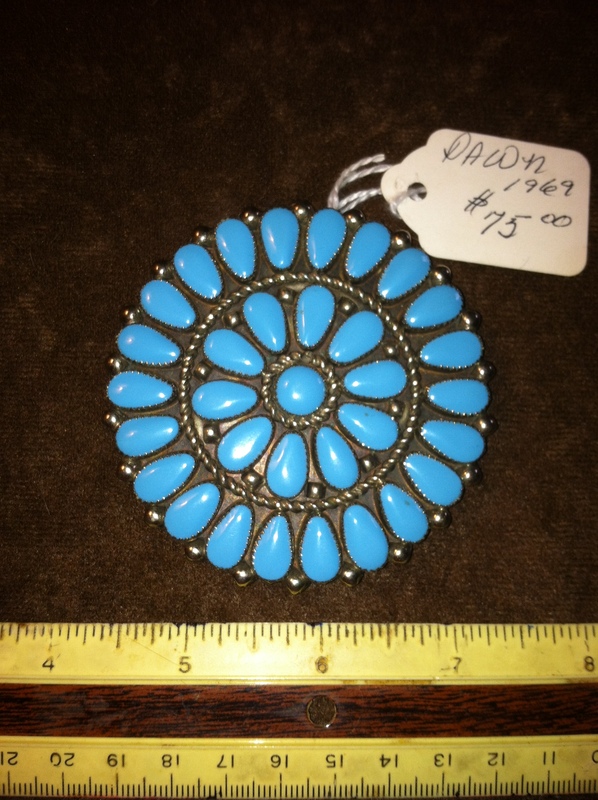 To me it looks like it could be either Zuni or Navajo made in a Zuni style. It is a classic petit point cluster. I think it is intended to be sewn onto clothing or a costume – perhaps used on a head piece, a wrist band, belt or sash. Maybe other readers have some other ideas as to its use.